Are you ready to start with your online business? 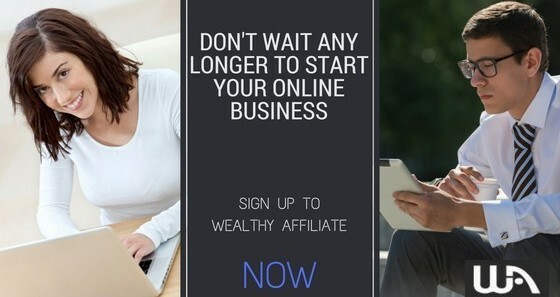 Or have you started your online business yet you don’t know if you’re doing it right? In this article, we’ll be talking about the “Top 16 questions before you open an online business”. These are the questions that you need to ask your self in order to find out if you have the right mindset for it or if you have what it takes to succeed. Ultimately, any business needs to be planned carefully before even launching it. This is basically the planning stage. The planning stage is very crucial as this is where you draft your business plan. Your business plan will eventually serve as your road map to success so make sure you make a great one and follow it gracefully. In the corporate world, making a business plan is very formal and comprehensive. Some entrepreneurs are even hiring professionals and pay a lot of money to construct a business plan on their behalf. Normally, a business plan is one of the requirements of bank financing in a brick and mortar business. However, an online entrepreneur doesn’t need a complicated and formal business plan. They only need a personalized business plan for their own preferences. Nevertheless, having a written business plan is always recommended. Remember that starting a business without a plan is your sure way to failure. So if you want to succeed, you need to do it right by starting it right. So, start with constructing your plan towards your success in online business. Here are the “Top 16 questions to ask before you open an online business”. The are many things you need to consider before you start. Below are the sets of questions for your planning guide. 1. Why do you want to build an online business? 2. What is the MAIN reason for building your own online business? 3. How much money (capital) do you want to invest? 4. How much time are you willing to invest? 5. Who will benefit from your success? We all have different reasons why we want to start a business online. Maybe you are already sick and tired of your boss or co-workers? Sick and tired of your working schedule? Maybe you need new challenges? Maybe you need extra income? Maybe you want to be your own boss? But what is the main reason? Is it about your self-realization of no-security of tenure with your employment? is it because you really need time and financial freedom for your family? Or maybe you want to retire as soon as possible? Or maybe you want to help other people by sharing your expertise? Whatever your main serious reason is, I’m sure it will be well-recognized with any of us in the online entrepreneurship right now. If you can nod to any of the above mentions, then you probably need to start your own business and the right time is Now. No need to delay… It’s not too late. Starting any kind of business needs investment. Investment of time and money. However, on online business, you don’t need a formal office, you can work anywhere and anytime! Plus, you don’t even need any inventory investments or hiring office staff. Finally, who will mainly benefit your success? Yourself? Your family? Your friends? Or do you want to help any other people too? That’s the great thing with achieving financial and time freedom. You can help anybody to succeed as well. 5. What are the things you are good at? Name at least 5. 6. Choose the best thing (out of the 5) you want to talk about (Niche). Have you heard of phrases “Turn your passion into money”? Well, this is true in online business. You can choose anything that you are good at, something you really love to work with or something you think you will never get tired of talking about. This can be about your work expertise, your sports hobby, your cat, your dog… literally anything! Then choose only ONE. One thing that you love most…. something you are really passionate about, then you have to focus with it. That’s what we do call Niche. 7. Are you willing to learn everything to succeed? 8. Can you keep being motivated if you meet challenges? 9. Are you goal oriented and goal achiever? 10. Are you good at time management? Starting your own online business is easy. Today you don’t need any technical experience to make your own website and learn everything from scratch without any hassle. If you follow my guide, you can start right away and earn while you learn. That’s really awesome. Let me tell you something straight. Building a website is very easy but earning money on your website is another story. Like any other business, earning money is the most challenging task. However, if you can keep being motivated and determined to reach your financial goal, you will definitely succeed in online business. Starting your online business can be time-consuming especially in the first couple of months. Time management is very important as you will not want to be burned out physically. So remember to balance your time for business as well as your personal and social life. You are your own boss… you decide everything on how your business should operate. 11. How much money do you want to earn with your online business? 12. How much money can you imagine yourself earning with your online business after 1 year, 3 years and 5 years? 13. How will you invest your earnings from your online business in order to achieve financial freedom? Now, this is the most exciting part – the financial goal. How do you see yourself after 1 year, 3 years and 5 years? Your short-term and long-term financial plan must also be included in your planning stage. Your income from your business will always be based on your performance. Never expect a quick result, because a real business requires time to see result according to its operation and performance. If you see any online opportunity promising you to become rich overnight, then you know it definitely is a scam. So never waste your time and money with such online opportunity. Remember, there is no shortcut to success. You have to work hard but smart enough to know how to do it right. There are 1% of the online marketers who earn millions while the 99% rest of us are happy earning with 5-6 figures online while enjoying financial and time freedom. Once you begin earning from your online business, consider reinvesting your money with other passive income – like real estate and other business investments. That way you can accelerate your journey to financial freedom. 13. Choose our domain name. 14. What will your niche be all about – different things about your passion. 15. How do you want your website to look like? 16. How can you make money with your online business? Choosing your domain is the first actual step in starting your online business. This is where your ‘branding’ starts. Your own domain name is your own workplace. It’s yours like it’s a virtual real estate. As mentioned earlier, your niche is very important. So remember to choose something that you are passionate about. Focus on it and everything about it. Building your own website is very easy. You don’t need any coding experience or technical qualifications at all. There are several ways on how to earn money on your website – such as affiliate marketing, advertisement placement service, selling digital products, selling physical products, selling your professional service or offering a training program. Affiliate marketing is a type of business that has made many people a huge fortune while others are just earning around $10,000/month and this is what I’m doing and I love it. I can earn Unlimited Passive Income online! However, I know this business is not for everybody and there are some other opportunities rather than affiliate marketing. So, I have created a list of the proven ways to earn money online if you happen to be looking for quick cash or online jobs. So, if you hate product demonstration or presentation, public speaking and certainly not a fan of recruiting your families and friends just to earn money, then this is the best business for you. This is the end of my “Top 16 questions before you open an online business”. I hope you have learned more about online business planning. This is a must read for all that want to start an online business. Your very informative and in-depth article will help all to understand that there are steps to be taken to get started and to keep in mind it is a business you’re starting and will take work. The third set is the most crucial for me. And if I can keep being motivated? Well, I can if I meet a challenge and the goal is good enough! But if I meet failure… not so good! I keep trying to remind myself that giving up is the failure; anything else is just an experience! That’s really true. There are a lot of people who quit too easily (including myself in 2009). Not realizing that challenges are part of the business itself. Good luck and keep it up. Keep on going. Don’t get destructed. Your success in just within your hands.